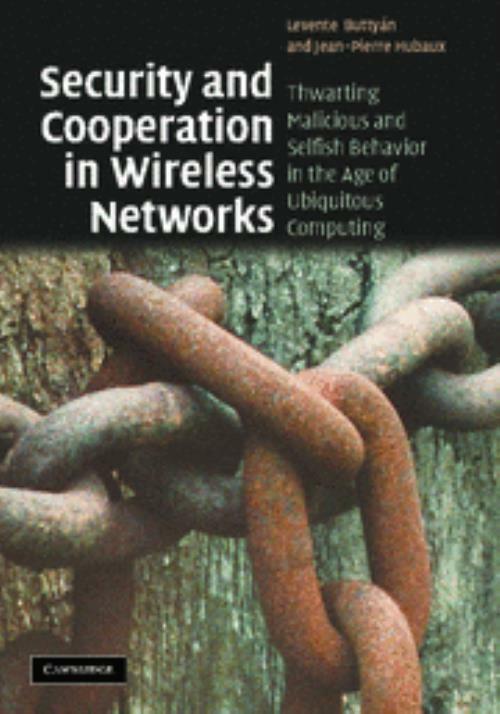 This is the first self-contained text to consider security and non-cooperative behavior in wireless networks. Major networking trends are analyzed and their implications explained in terms of security and cooperation, and potential malicious and selfish misdeeds are described along with the existing and future security techniques. Fundamental questions of security including user and device identification; establishment of security association; secure and cooperative routing in multi-hop networks; fair bandwidth distribution; and privacy protection are approached from a theoretical perspective and supported by real-world examples including ad hoc, mesh, vehicular, sensor, and RFID networks. Important relationships between trust, security, and cooperation are also discussed. Contains homework problems and tutorials on cryptography and game theory. This text is suitable for advanced undergraduates and graduate students of electrical engineering and computer science, and researchers and practitioners in the wireless industry. Lecture slides and instructor-only solutions available online. Levente Buttyán is an Associate Professor at the Department of Telecommunications, Budapest University of Technology and Economics (BME), Hungary. Jean-Pierre Hubaux is a Professor at the School of Computer and Communication Sciences, Ecole Polytechnique Fédérale de Lausanne (EPFL), Switzerland.